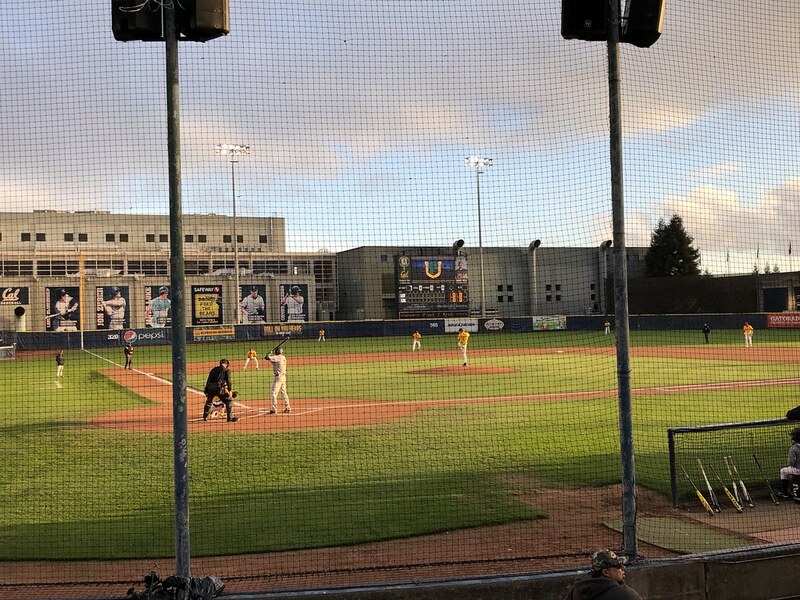 The view from behind home plate at Evans Diamond. 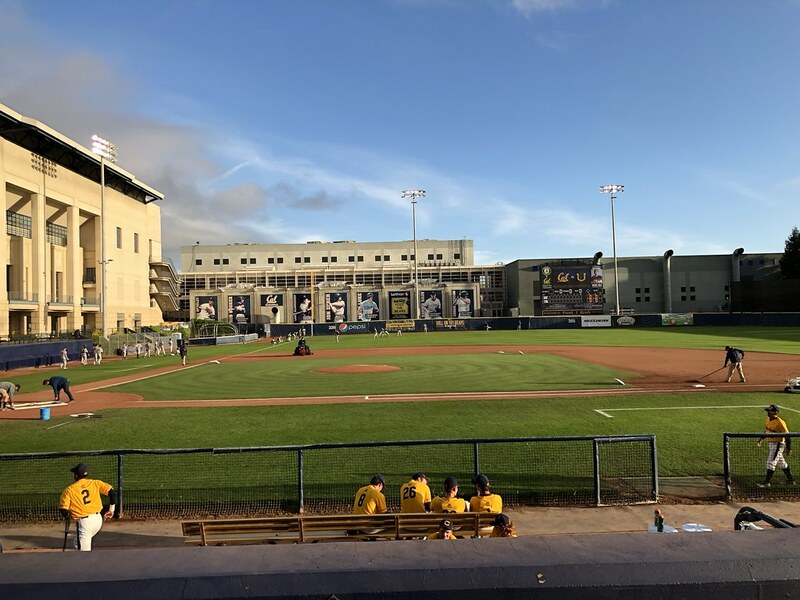 The grandstand at Evans Diamond, as seen from the right field corner. 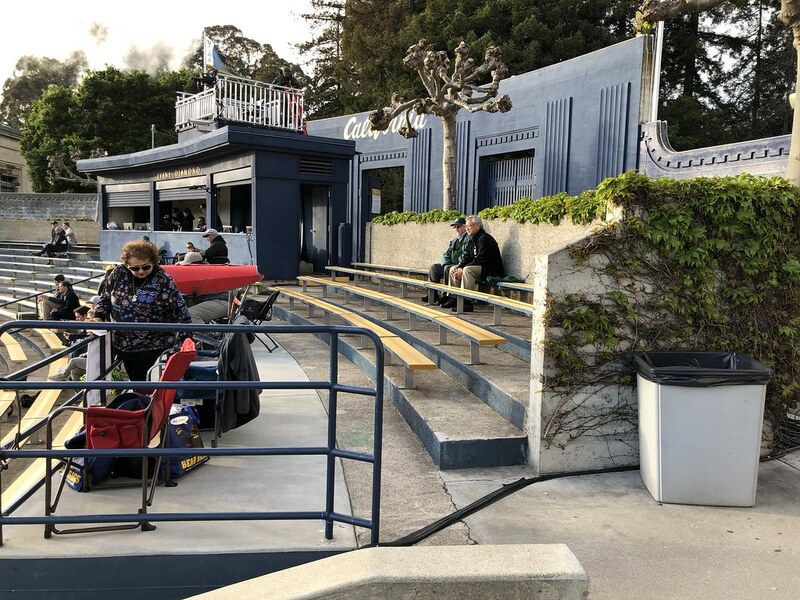 The pressbox sits atop the seating bowl behind home plate. 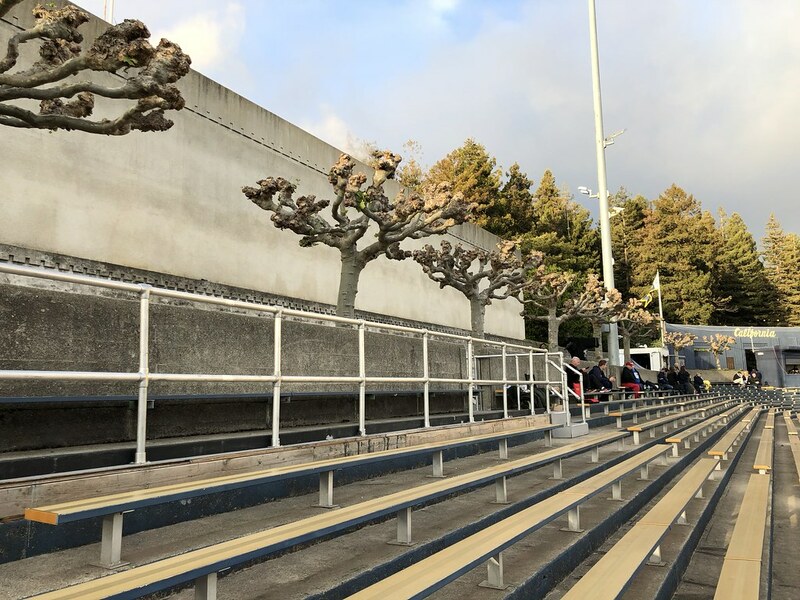 The grandstand runs down the first base line, with all seating on aluminum benches and trees running along the top of the seating bowl. 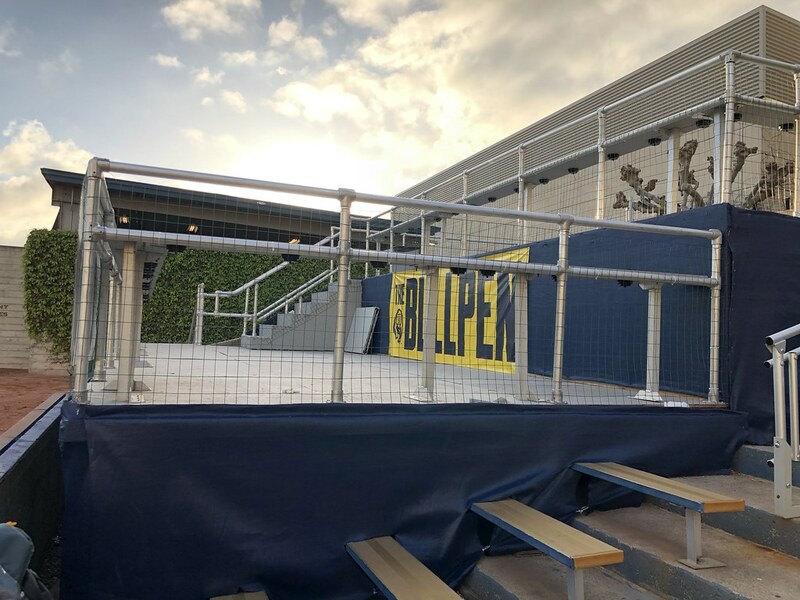 An elevated party deck overlooks the field from the right field corner of the ballpark. 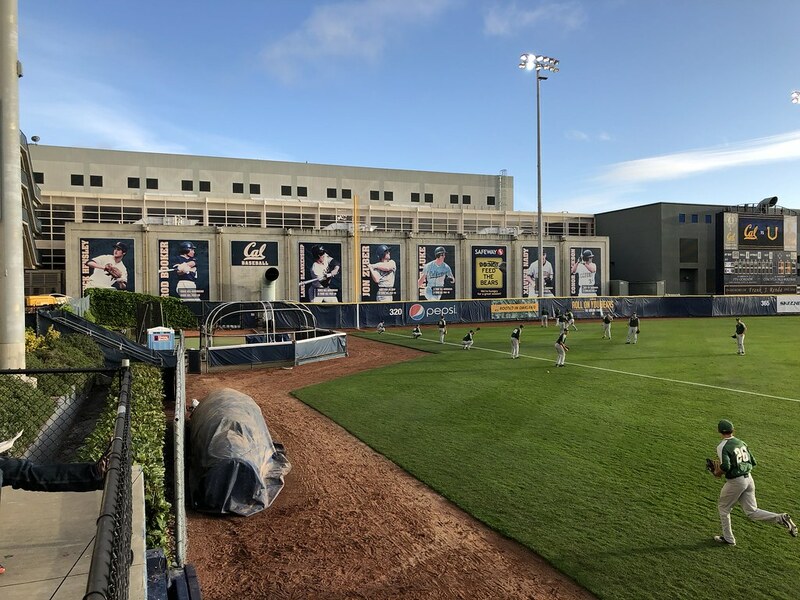 Ivy wraps around the concrete structures along the concourse at Evans Diamond. 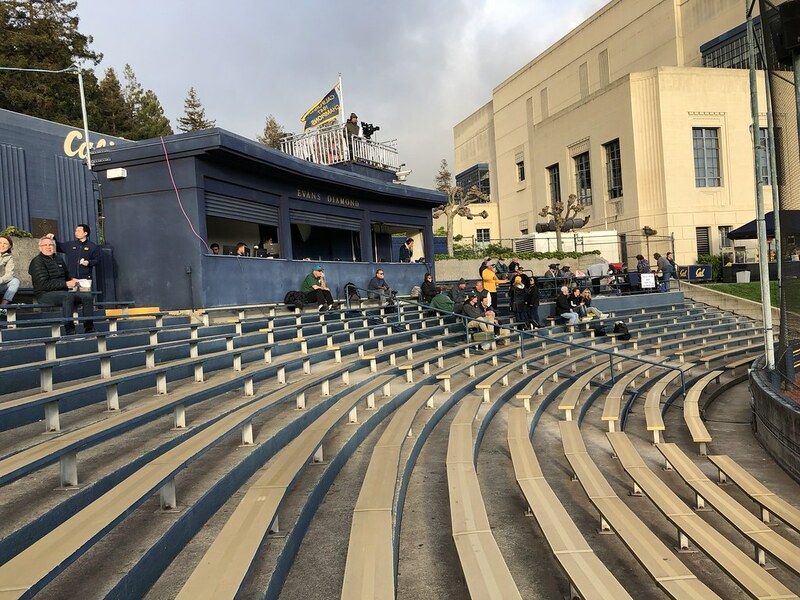 The seating bowl does not run down the third base line, but benches and picnic tables line the wide concourse on that side of the park. 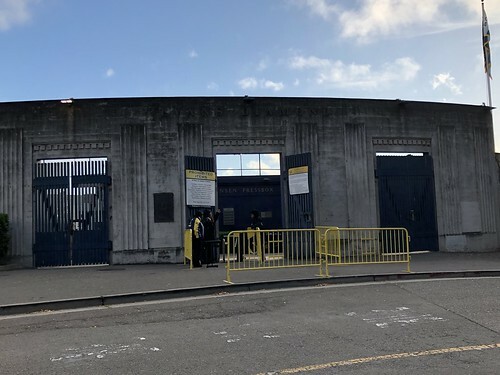 The concourse and dramatic entrance gate behind the pressbox. 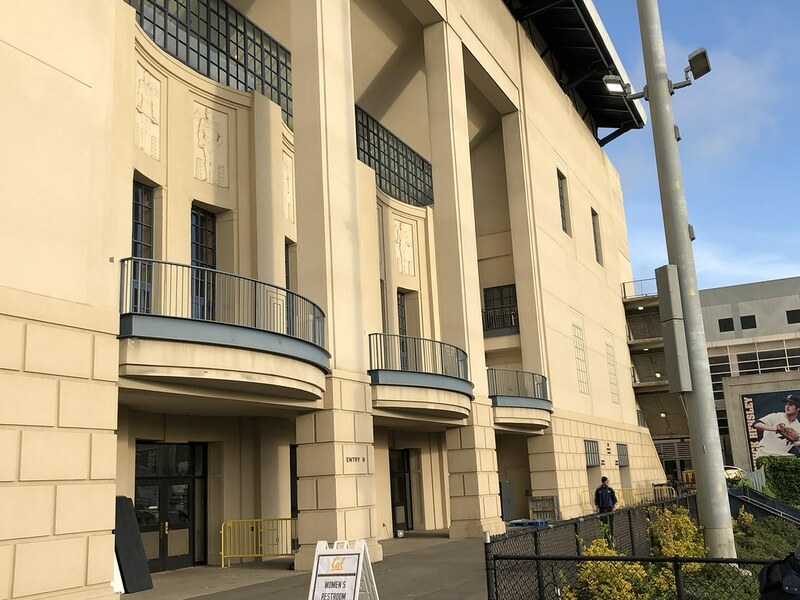 Haas Pavilion, home of Cal Basketball, sits along the third base concourse and towers over the baseball field. 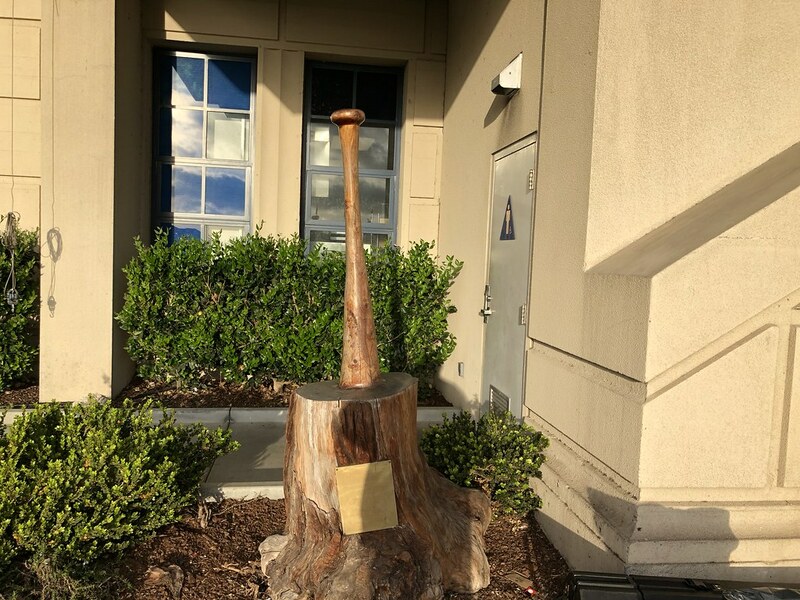 A wooden bat sculpture sits beside Haas Pavilion on the Evans Diamond concourse. 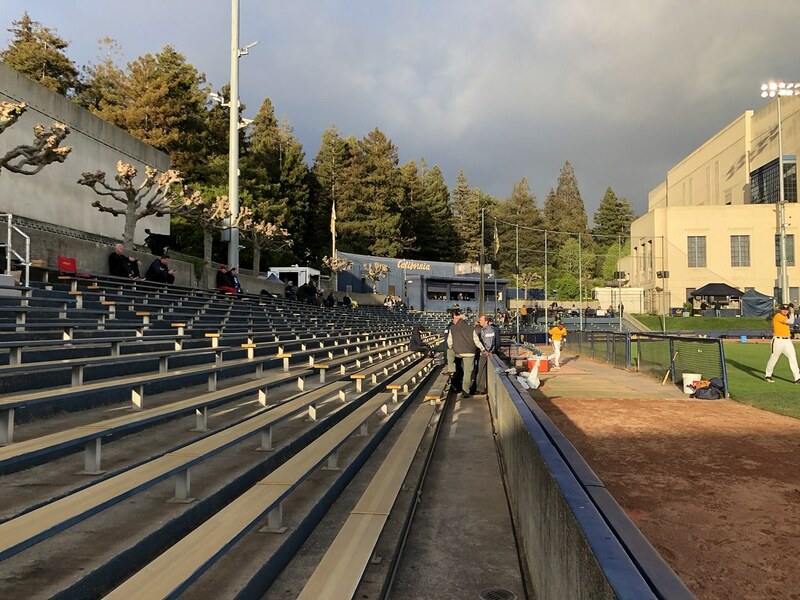 Edwards Field, home of Cal Track & Field, sits behind the right field wall. 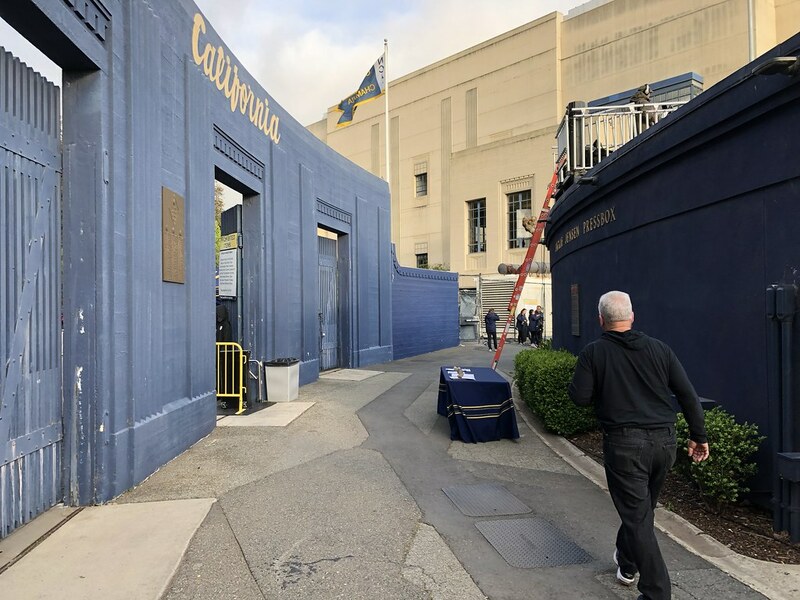 Golden Bear retired numbers line the back of the Edwards Field stands, with flags for each Pac-12 team running along the top. 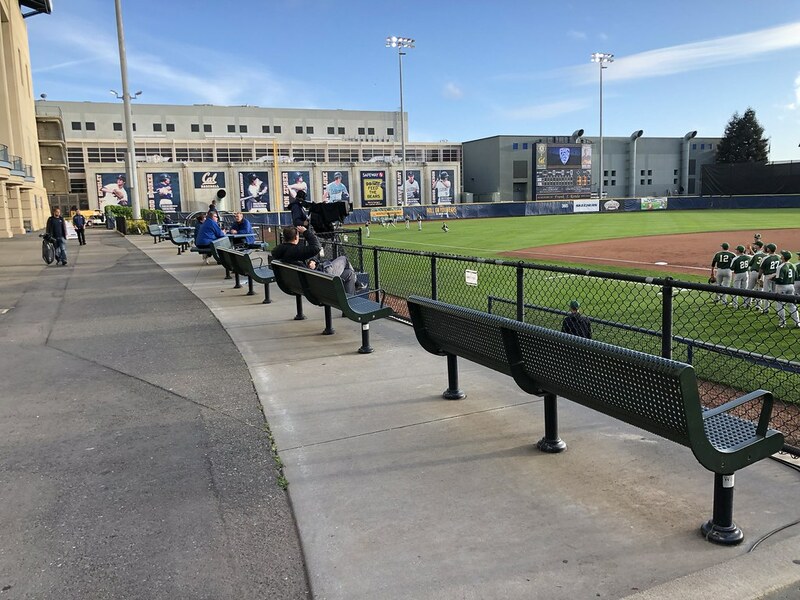 The dugouts are very shallow, with benches out on the field of play. 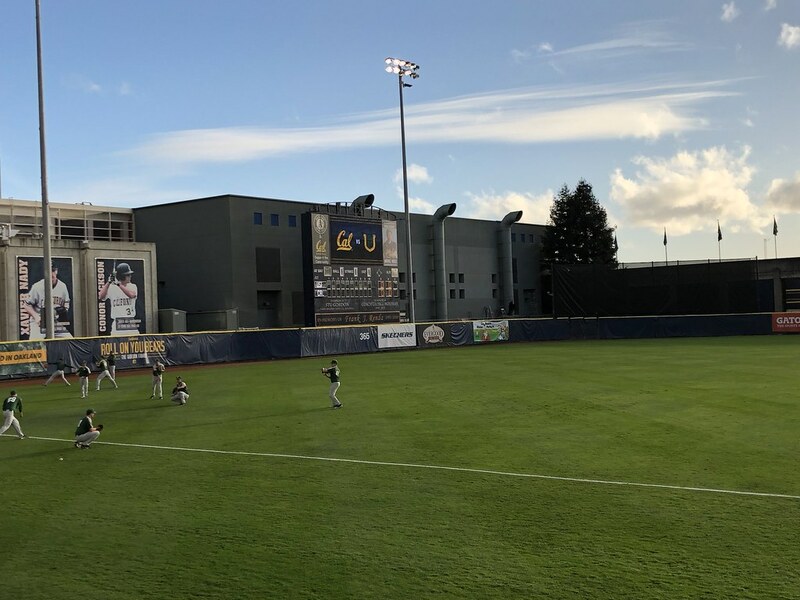 Banners celebrating former Cal baseball players hang on the building behind the left field fence. 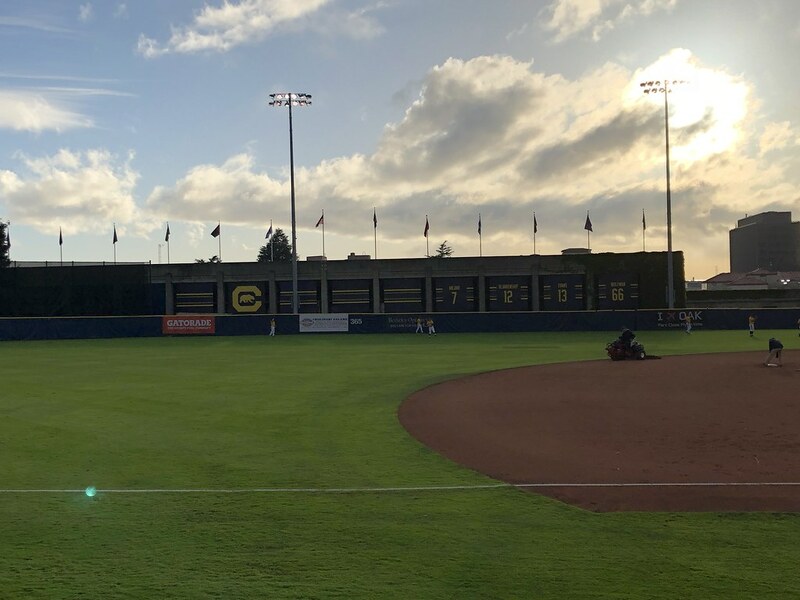 The scoreboard sits above the center field wall. 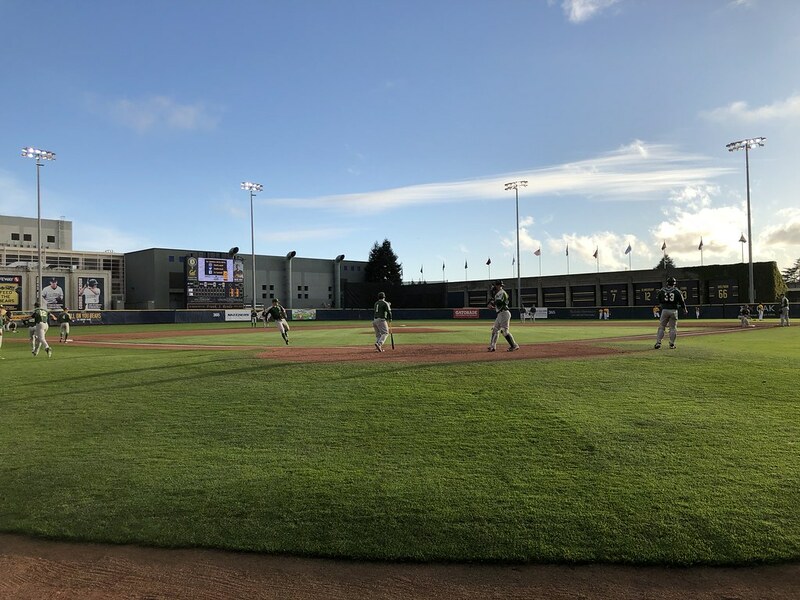 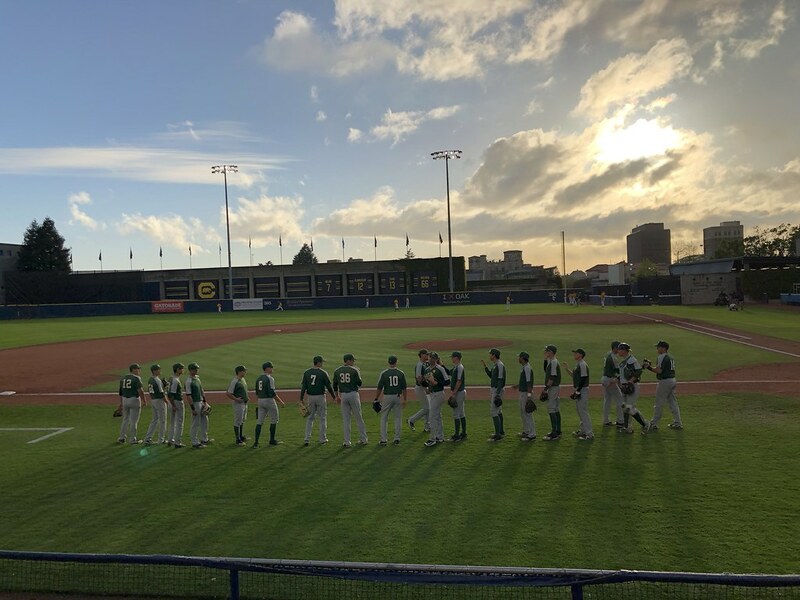 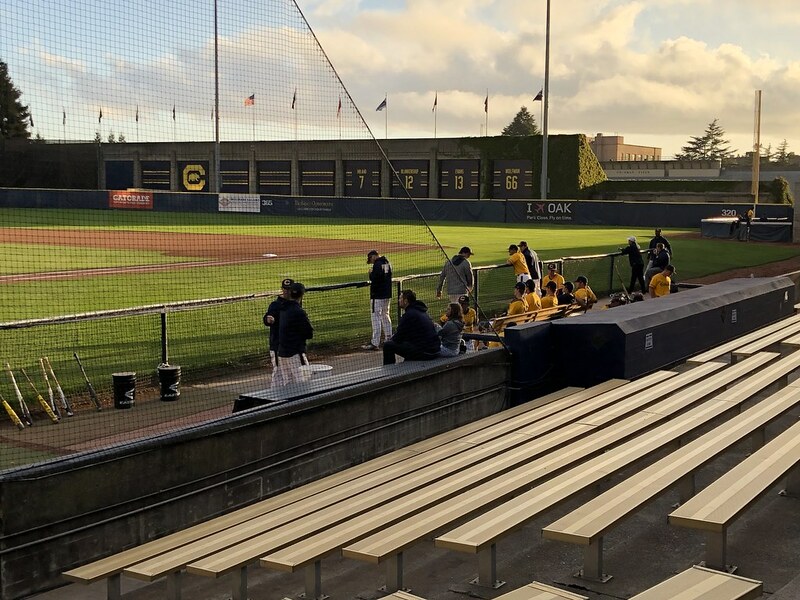 The Cal Golden Bears on the field during a game at Evans Diamond.